but can't quite find the time. 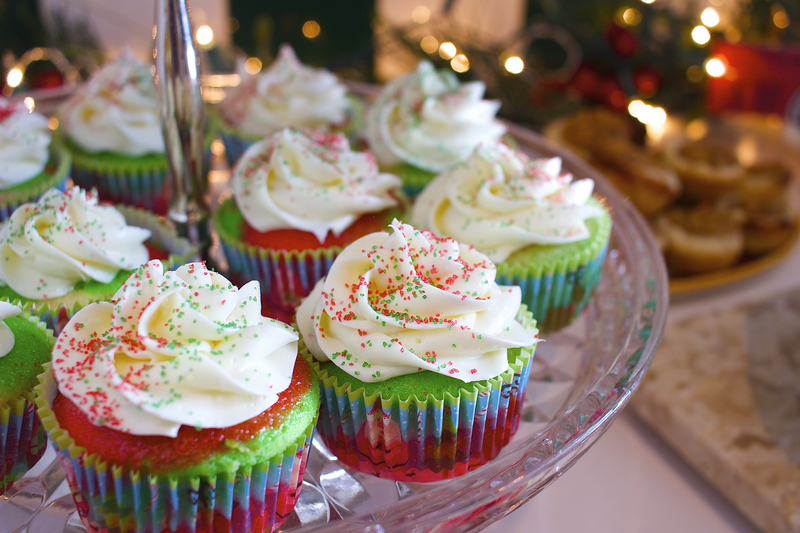 these cupcakes are just that! Combine cake mix, eggs, water and vegetable oil (according to amounts on box) together in a large bowl. Mix ingredients either by hand or using a mixer until smooth. Separate equal parts cake batter in into three bowls. Add green food coloring to one bowl, red food coloring to another, and leave the last bowl white. 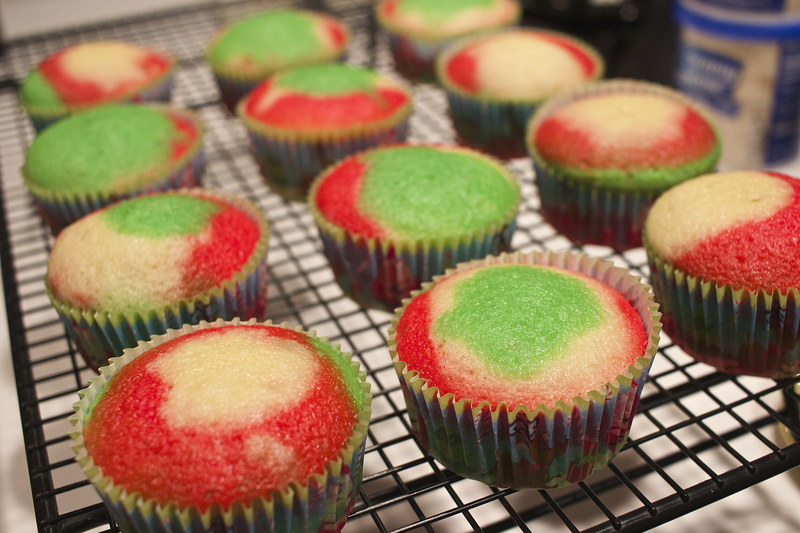 Line cupcake pans with cupcake wrappers (these tend to look better in see-through papers). Start spooning small amounts of each color in each wrapper. I like to alternate the colors between each wrapper so that every cupcake looks a bit different (if you're confused at this point, I also have a video which I'll include down below). Once you've filled each wrapper about 2/3 full, bake at 350°F for about 14-19 minutes or until a toothpick inserted into a cupcake comes out clean. 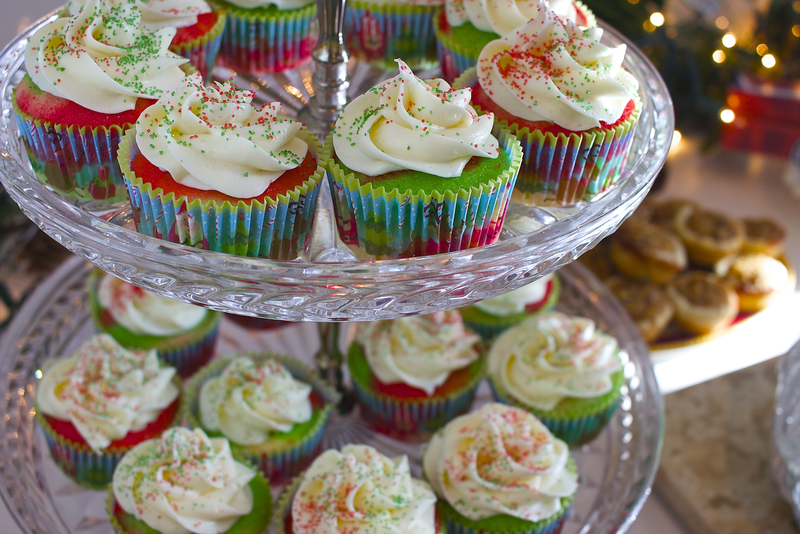 Let the cupcakes cool completely before frosting so that the frosting won't melt and slip off! Using a piping bag (or large Ziplock bag) and a medium-sized star-shaped tip, frost each cupcake in a spiral starting from the outside and working your way to the center. 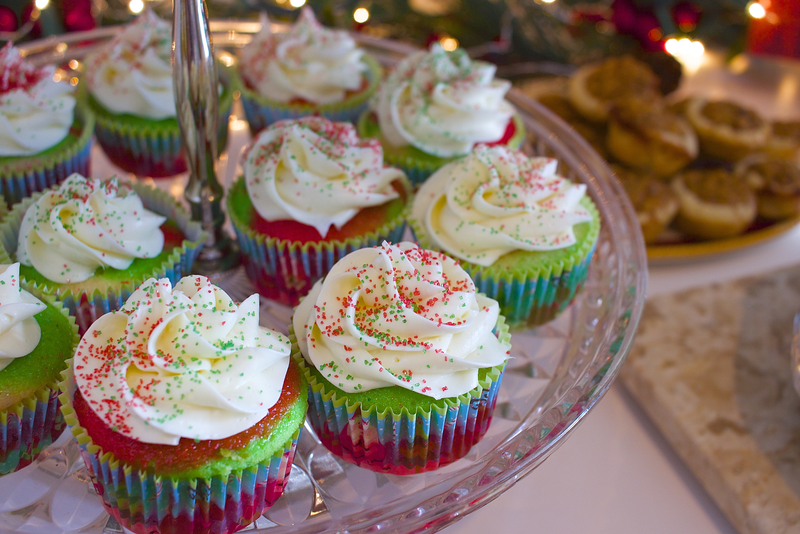 Sprinkle with edible red and green sparkles or any festive sprinkles of your choosing!